There are only two places during our entire brewery build process where soldering with a soldering iron is required. This is one of them. 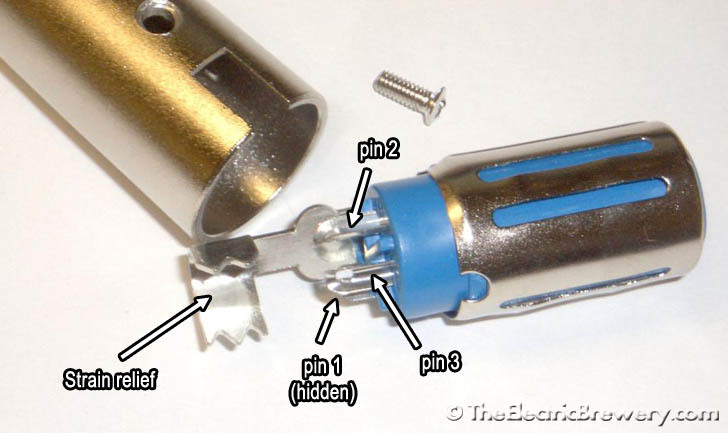 If you've never soldered before I suggest you watch this YouTube video on the correct way to solder. It's quite simple. 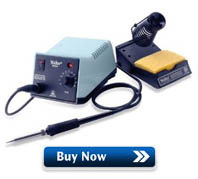 A fancy soldering iron is not really needed here, but if you're considering a good quality unit that'll last you a lifetime and is easier to use, the Weller WES51 analog soldering station is an excellent choice. It's what we use. 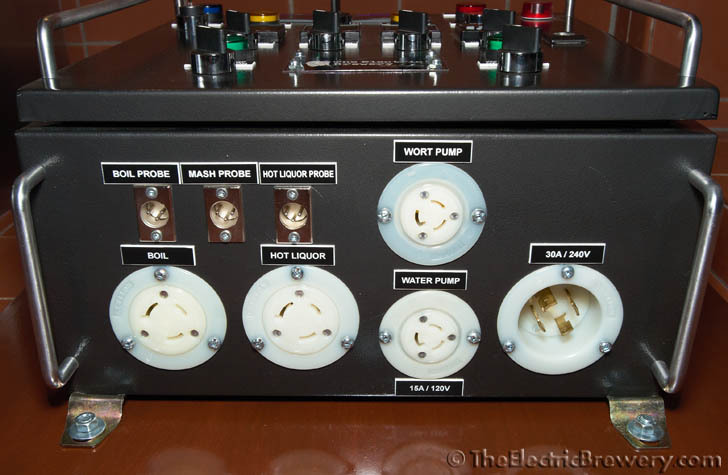 Over the years we went through countless $10-$20 pencil soldering irons before buying one that would last and actually maintained heat properly. Use rosin core solder (60% tin, 40% lead). We recommend Kester 44 available in 1 lb spools and small 15' pocket packs (more than enough for our project here). 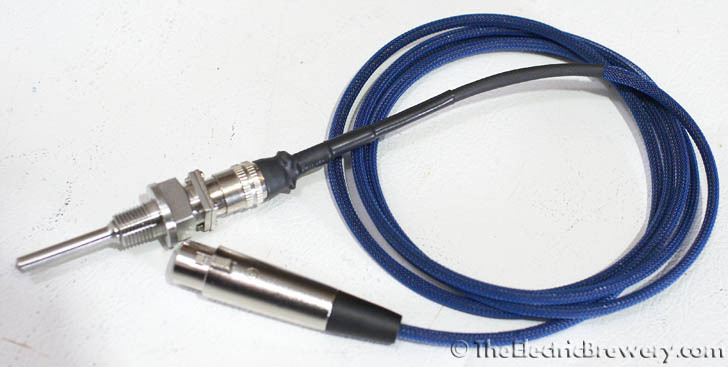 We're going to solder the three temperature probe wires to the 3 pins on the female XLR3 connector. Slide the XLR3 connector body on to the cable with sleeving. Then solder the two red wires to pins 1 and 3 and the white wire to pin 2. Crimp down the strain relief making sure it crimps and holds both sets of expandable sleeving and the stainless steel wire rope. The small nylon cable tie helps hold the stainless steel wire rope in place. Make sure the rope is slightly shorter (tighter) than the signal carrying red/white wires before crimping everything down. This will ensure that the stronger rope (and not the fragile signal wires) will take the strain if you pull on the cable by accident. Slide the XLR3 connector parts back together and re-attach the screw. You're done! 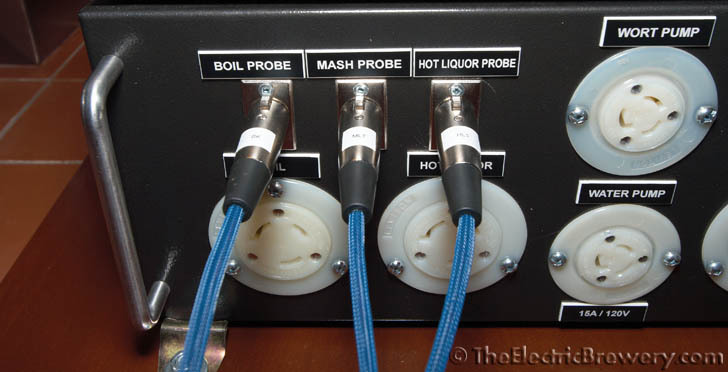 Repeat the process for all three temperature probes. Your probes are now nicely protected and detachable. 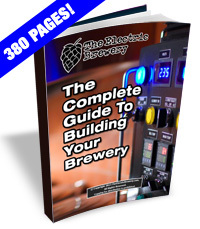 Continue on to Building Your Brewery - Hot Liquor Tank.